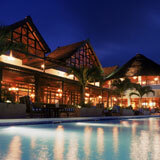 Inagbe Grand Resort Nigeria. ..
Hilton Worldwide, the world's fastest-growing hospitality company, today announced the signing of a franchise agreement with Africa Hospitality Investments to open the full-service DoubleTree by Hilton Kinshasa - The Stanley. Located in the bustling capital of the Democratic Republic of Congo, the signing marks the arrival of Hilton Worldwide to one of Africa's largest urban areas. Patrick Fitzgibbon, senior vice president of development, Europe and Africa, for Hilton Worldwide, said: "Our focus on developing our portfolio in key locations across Africa has resulted in Hilton Worldwide achieving the fastest-growing pipeline of hotels on the continent. This latest agreement, marking our arrival in the DRC, will bring presence for us in this important location and further enhance the accommodation offering for travellers to Kinshasa." With a population of over nine million people, Kinshasa is the third largest urban area in Africa and is located in close proximity to neighbouring Brazzaville, the Capital of the Republic of Congo. Following extensive refurbishment works, the hotel is expected to open in 2016, offering 96 guest rooms; as well as a business centre; three meeting rooms and fitness centre. In addition, the hotel will have three F&B outlets; including an all-day dining restaurant; caf� lounge and a rooftop restaurant. "We are excited to be introducing DoubleTree by Hilton to Kinshasa and look forward to welcoming guests with our warm service and signature chocolate chip cookie," said, John Greenleaf, global head, DoubleTree by Hilton. "DoubleTree currently operates in Tanzania and South Africa and we look forward to further expanding our offering for travelers across Africa." A conversion from its previous designation as the French Embassy, DoubleTree by Hilton Kinshasa - The Stanley will be located in Gombe, the city's business district - allowing for easy access to corporate companies, retail outlets, government ministries, diplomatic and media organizations. 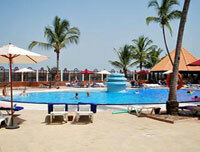 The hotel will be approximately 25 kilometers from Kinshasa's N'Djili International Airport. Safir-Ud-Dean-Hajee, Africa Hospitality Investments, commented, "We are delighted to be working with Hilton Worldwide to open this first DoubleTree by Hilton property in Kinshasa. We are confident that the hotel will offer world class standards in hospitality and look forward to beginning a long lasting relationship with Hilton Worldwide." 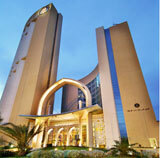 Hilton Worldwide currently has 37 hotels operating across Africa, with nearly 30 hotels under development. 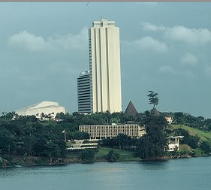 The findings of this year�s Hotel Chain Development Pipeline Survey, produced by Lagos-based consultancy W Hospitality Group show that Hilton is leading the race to develop new hotels in Africa with 7,250 rooms in its pipeline, spread over 29 new properties, 18% up on the previous year. Hot on its heels is Carlson Rezidor, with 6,953 new rooms in development spread across 32 hotels. Marriott is in third place with 6,412 rooms in its pipeline spread over 36 new properties, 22% up on 2014. If one creates a ranking not by number of rooms but instead by the number of hotels, Marriott would take the top spot with 36 in their pipeline, followed by Carlson Rezidor with 32 and Hilton with 29. Best Western has 12 new hotels in its pipeline, but the average size of hotel is lower, at 93 rooms, and therefore drops out of the top ten when the pipeline is analysed by number of rooms. Both Kempinski and Fairmont focus on large, luxury hotels (Kempinski with their single brand, and Fairmont developing Raffles, Fairmont and Swissotel) and have the largest average number of rooms in the survey. 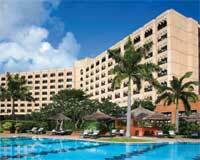 Mangalis is a new chain, launched in 2013, with its first hotel openings expected in 2015, in Conakry and Dakar. It is of note that Mangalis is achieving its very rapid growth by adopting an �asset-heavy� strategy, funding the development of nearly all of its hotels. This is in contrast with virtually every other chain in the survey, who are �asset-light�, seeking management agreements or, exceptionally, franchises and leases. If, instead of looking at the chains, one looks at individual brands, Carlson Rezidor�s Radisson Blu brand occupies first position in terms of the number of hotels and rooms in its development pipeline. Its sister brand, Park Inn by Radisson, is also in the top 10, whilst the Hilton brand and its �little brother�, Hilton Garden Inn, occupy second and fifth positions respectively. Marriott and Starwood each have two brands in the top ten, with Starwood achieving particularly strong growth for both brands, Sheraton and Four Points. Marriott leads in presenting a multi-brand offer, with 10 brands available to developers, including four brands included for the first time since its acquisition of Protea last year. This multi-brand approach has become more commonplace as Africa�s markets continue to develop and become mature enough for multiple brands, catering to markets across a broad spectrum. Having led their market entry with their flagship brands, typically at the upscale level, several of the chains are now introducing their midscale and budget brands. Kempinski has been signing the biggest deals, with an average 324 rooms per hotel, double that of Park Inn, and of all the chains in the survey has the largest hotel project in sub-Saharan Africa, the 451-room Grand Hotel Oyala Kempinski in Equatorial Guinea's future new capital, Oyala. Hyatt and Kempinski are set to double their African presence through new deals signed, but in percentage terms it is the smaller chains (in terms of African presence) including those focusing purely on Africa, such as City Blue, Onomo and Azalaї, that have the highest percentage increase. Rotana, the Abu-Dhabi based chain, are making rapid inroads into the continent, with eight new hotels in the pipeline, as is Swiss International, with 16 new franchise deals, of which more than half are in Nigeria. The chart below shows the evolution of the number of rooms in the top five brands� development pipelines from 2013 to 2015. Although from a small basis, Hilton Garden Inn has seen the largest absolute growth, from two hotels in 2013 to nine hotels in 2015. Matthew Weihs, Managing Director, Bench Events, which organises the Africa Hotel Investment Forum (AHIF) (http://www.africa-conference.com), which attracts all the major international hotel investors in Africa, where this report will be discussed in detail, concluded: �The economics are compelling. The World Travel & Tourism Council is forecasting that growth of the industry in SSA will exceed 5% for every year of the next decade. That is much stronger than most Western countries and too tempting for the major hotel chains to ignore. GLATTBRUGG, Switzerland - M�venpick Hotels & Resorts will debut in three new African markets over the next four years as its plans to establish a presence in key cities across the continent�s thriving Sub-Saharan region come to fruition. In a move that will take its Africa portfolio to 28 properties strong, the expansionist Swiss hospitality brand will open three upscale hotels across Kenya in East Africa and Nigeria and Cote d�Ivoire in West Africa, between 2016 and early 2019. The expansion trail will commence with the opening of the 223-key M�venpick Hotel & Residences Nairobi in mid-2016, followed by the 212-key M�venpick Hotel Abidjan in early 2018, rounding off with the 250-key M�venpick Hotel and Conference Centre Abuja in 2019. M�venpick Hotels & Resorts� African portfolio currently comprises 23 hotels, resorts, and cruise ships spanning five countries including Egypt, Tunisia, Morocco, and Ghana. The company will open its third property in Morocco, the M�venpick Hotel Mansour Eddahbi & Palais des Congr�s, Marrakech, in mid-2016 and has inked a management deal for a third hotel in neighboring Tunisia - the M�venpick Hotel Les Berges du Lac Tunis, scheduled for completion in 2016. Five of Serena�s lodges in East Africa and the Nairobi Serena Hotel have been included in the list of the Top 50 lodges and resorts and top 15 city hotels for Africa, which will be published in the August edition of the Travel and Leisure Magazine. In Kenya it is the Amboseli Serena Safari Lodge and the Mara Serena Safari Lodge while in Tanzania it is the Lake Manyara Serena Safari Lodge, Ngorongoro Serena Safari Lodge and Serengeti Serena Safari Lodge which made it into the list. 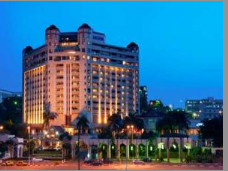 Serena Hotels, formed in the early 1970�s, own and operate city hotels, beach resorts and safari lodges and camps across the East African Community and also operate the Polana Serena in Mozambique�s capital city of Maputo. Serena is a publicly quotes company and generally seen as Eastern Africa�s leading hospitality brand, providing others with a yardstick for quality operations. Serena properties have regularly won awards including last year 6 World Travel Awards, aka the Oscar�s of the Tourism Industry. One of the biggest challenges faced by the Hotels Business in West-Africa is Competition and so the 10th edition of Hospitality Day @ Akwaaba will be dedicated to showing Hotel Managers how they can stay ahead of Competition, using the latest technology to drive sales and retain clients. With rapidly growing Economies, foreign direct investments and an increasing number of Africans who are having more disposable incomes and moving into the Middle Class income group, the Hospitality Industry in Africa is full of opportunities. However, with more interest shown by the International and Regional chains in expanding in Africa especially in Nigeria with about 49 hotels (7,470 rooms) scheduled to open by 2017 coupled with the existing hotels and a number of smaller Hotels and Guest Houses opening every now and then, the challenge for Hotels to stay in business will be high. The Workshop themed �Hotel Innovation : Being One Step ahead� will include Experts from Israel, Dubai, UK, Germany and Nigeria with a panel made up of GM�s of Top International and Regional Hotel chains in Nigeria. There will also be a Keynote Speech on �Investing in the Hospitality Business between the Known and the Unknown. The Workshop is aimed at raising the Hotel Standards in West-Africa and will have in attendance over 100 Hotel Managers, Hotel Management Companies in Nigeria and Africa as well as Hotel Investors and other Stakeholders. The issues that would be addressed include, use of Social Media, Software for Hotels Hardware/Amenities, Services, Data Mining (Big Data) and the latest Hotel Apps. The forum will hold on the 28th of October, 2014, the last day of Akwaaba, at the Convention Centre of the Eko Hotels and Suites, Victoria- Island, Lagos from 10am-1pm. It will be rounded off with a Wine Tasting extravaganza. 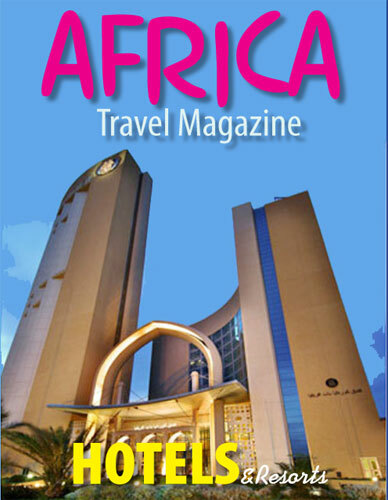 Akwaaba: African Travel Market is the only International Travel Trade Fair in West-Africa. It is the largest marketing Platform to meet with Travelling Public, Airlines, Hotels, Restaurants, Tour Operators, Travel Agents, State Tourism Boards, Foreign Trade and Tourism sectors in Nigeria, West-Africa and Africa. Aftm attracted exhibitors from over 20 countries and about 15,000 attendees last year and more are expected this year. The 3day event features Africa Travel Awards, Wine Tasting, Africa Business Travel Association Workshop, Hospitality & Aviation Forum as well as Country Day Celebrations. Attendance is strictly by Registration. To attend, kindly send a mail to akwaabatravelmarket@yahoo.com to confirm attendance and reserve your seats. Deadline for confirmation is the 30th of September, 2014, limited seats available. With Nigerians developing a higher taste for luxury, accompanied with an increasing purchasing power, the Hotels that would benefit from this would be, smart Hotels who keep ahead, especially using technology to deliver quality Services and luring the highest numbers of the increasing Domestic Market as the economy grows to add to their already established Markets. Meanwhile the women in Aviation (Nigeria) International-Glowing Wings Chapter will be in partnership with the organizers of Akwaaba African Travel Market is set to honor Capt. Irene Mutungi. Capt. Irene Mutungi is the first Woman in the World to captain the World�s newest Plane -the Boeing B787 Dream liner and will yet again receive recognition for her pioneering role in Africa�s Aviation Industry. She was recognized at Akwaaba in 2009 as the first African Lady Captain of a Commercial Airliner. Women in Aviation, International with headquarters� in the USA, is a non-profit organization that is dedicated to the advancement of women in all Aviation career field and interests with over 10,000 Professionals all over the world. According to the President of the Glowing Wings Chapter- Mrs Ify Megwa who would be leading her Chapter to the fair �We deemed it fit to honour one of our own, Capt. Irene has accomplished a feat no female has ever attained in Africa. In doing this, we are not only recognizing her for been exceptional, we hope this will encourage more females to reach extraordinary heights in their Aviation careers and also encourage young women to consider aviation as a career too. So, we couldn�t think of a better medium to present this award to her other than Akwaaba, a credible platform that has consistently honored pioneers in Africa over the years�. Rwandan First Female Pilot with Rwandair Esther Mwange will also be honored at the event. This comes as one of Ghana�s leading Hotel Group-Golden Beach Hotels announced the launching of their multimillion dollars refurbished La Palm Beach Resort, Accra at the largest Travel and Tourism event in West-Africa. Golden Beach hotels the owners of La Palm beach hotel Accra, Elmina beach hotel, and Busua Beach Resort will be showcasing at Akwaaba Travel Market, Lagos in October this year. La Palm once the hotel of choice for all top class visitors to Ghana is undergoing massive changes to its rooms and facilities. With the opening of new hotels the owners decided to respond by closing parts of the hotel for total enhancement. These changes will include Refurbishment of the frontage of the hotel. Already the reception has been refurbished and will soon be reopened. The swimming pool floor tiles are being changed to fibre optics making La Palm the first hotel in Accra to have this. There will a new addition, the executive Clubroom with exclusive features. Almost all the bedrooms in the hotel are now tastefully refurbished. The continental Restaurant is also refurbished to include polished floor tiles with new lights and these will be ready for the seafood festival. After all the changes training and retraining of staff coupled with new activities to further strengthen the tenets of quality service delivery. The appearance of La Palm at Akwaaba will further enhance the international offerings at the fair this year. This comes as Director General of the GT Board MR.BENJAMIN ROBERTS will attend the AKWAABA TRADE FAIR for the first time leading the delegation. This was the message from Adama Njie the Marketing Director of GTB to the organizers of Akwaaba, this reinforces the efforts of mainland Africa�s smallest country known as the smiling coast in increasing its market share of the huge Nigerian traveling Public. With Roadshows and intensive PR campaigns The Gambia is reaching out to more Nigerians. With the best Marketing of all Tourism Boards in West Africa the Gambia has consistently promoted itself as the resting place for West Africans. It has been a frequent visitor to Akwaaba African Travel Market. For the Organisers of Akwaaba the 2014 edition will be geared towards getting more footfalls from the larger traveling Audience. To this end they are initiating a wine tasting day at Akwaaba. Nigeria is accepted globally as one of the biggest Wine markets in the world consuming more than many African countries put together. The emerging lifestyle merges with the growing middle class and it�s taste for global products. Travel and tourism is one of the biggest beneficiary of this new class of Nigerians. It is this class of Nigerians that are traveling that also consume these large quantity of wine and Champagne. To further organize the products and align it with its patrons the organizers of Akwaaba African Travel market will this year dedicate its hospitality day October the 28th to wine tasting. The wine tasting day is a new addition and will offer both sellers and buyers the opportunity to engage with the Traveling public. The Wine Tasting event which will hold on the 28th of Oct 2014 from 10am-6pm at the Convention Centre of the Eko Hotels and Suite, Victoria-Island, Lagos, Nigeria, will provide Wine Distributors and Manufacturer from all over the world, who are looking to increase their business in Nigeria and across Africa, Build and increase brand loyalty and patronage, the opportunity to showcase their products to the travel community/ Wine Lovers in Nigeria & Africa. The Wine tasting event will feature a diverse selection of Top wines and Spirits from all over the world. Speaking on the Event, Mrs.Rita Ikechi Uko-Organizer of Akwaaba: African Travel Market says �Nigeria is one of the fastest growing economies in the world and the biggest Champagne Market in Africa. We are always looking for ways to create and add value to our clients as well as improve visitors� experience at our events. So, the Wine Tasting event was born out of the need to create a proper platform for bringing together Wine Buyers and Sellers from all over the world, an audience Akwaaba has consistently attracted over the years. With �big Taste experience � we hope to not only provide a platform for Wine Dealers and Producers to sample their wines but also provide an atmosphere where guests can sip, savour, mix and mingle while enjoying the best of what Africa has to offer and it�s a project we intend to continue and build in the next coming years�. Attendees to the fair would have the opportunity to sample different top wines and Spirits from Exhibiting Wine Dealers and Manufactures from all over the World. Attendance is Free, Visit akwaabatravelmarkets.com to register. The Akwaaba: African Market which holds in October every year will feature Exhibition, Aviation & Hospitality Day, African Business Travel Associaiton (ABTA) Workshop and various Country/State Day Celebrations where the Culture, Food & Destinations will be showcased. This year�s event will hold from the 26th-28th of October, 2014.